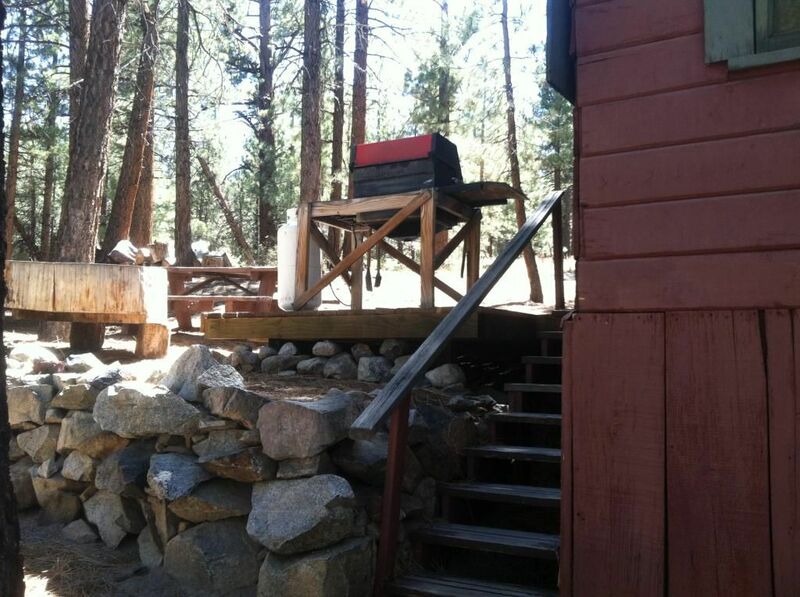 June Lake vicinity, large family cabin - off the grid, forested, authentic. If you've ever wanted to go back in time, here is the perfect opportunity. Self-sufficient utilities, out-house, lanterns, antiques, and a few modern comforts thrown in. Situated in the largest Jeffery Pine forest in the world, this cabin is perfect for hunting parties, off-road clubs, fishing excursions, college groups, parties, family reunions, etc. For groups we offer logistical services and support to make your next adventure turn-key. Cabin features three bedrooms, full kitchen, large living area, outdoor decks, and group picnic tables with BBQ. Water service available only June through September, from October through May the cabin is dry and water must be brought in. When water is available it is rationed to 60 gallons per day, extra water may be available for a fee. Group size limited to 12, for larger groups please call. Unlimited parking with room for trailers. This cabin is only available through advance reservation and takes considerable preparations during winter. This area of Mono County is the wild west, and is nothing like the modern Hilton Creek cabin that we often rent.